One of the best options you can have if you’re in the middle of airsoft play would be a revolver or pistol. 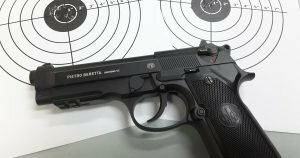 These airsoft guns seem to get a bad rap at times, because users want something that’s going to show power and force. Users want something they feel is going to impress others in the field of play and this is understandable. 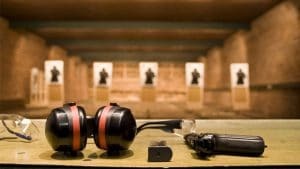 However if the goal is to be a true versatile player out there, then you need to have a backup option and you can’t go wrong with a revolver or pistol. What makes it even better is it doesn’t really matter which one you get as long as you have one or the other. ASG Dan Wesson CO2 Powered Airsoft Revolver, Black, 8"
At Airsoft Core we know that it’s easy for some users to get confused by revolvers and pistols. At first it might seem like they are the same thing, but this isn’t the case. The key difference is that with a pistol it has one or several stationary chambers. Revolvers are handguns that have several rotating chambers. Also with a revolver you can only shoot a certain number of rounds, usually about 5-6. With a pistol you can shoot more than this. We would say that airsoft revolvers are like pistols, but mainly because of the way that they are made and used in play. Think about this for a second. You’re in a heated airsoft battle. The game is getting serious and you know that you have other players closing in around you. Yes, you might have a powerful airsoft weapon on you, but what if it runs out of ammunition or the battery dies on you while things are just beginning to heat up? You would be in a pretty bad situation right? If you’re goal is to be a serious player of the game of airsoft, then we at Airsoft Core recommend you to have a good side arm such as a revolver or a pistol. You just never know when you might require it. Heck, there’s even a chance that the more powerful option you would use could experience some sort of malfunction. Of course the probability of this goes up if a player had an inferior quality airsoft gun. Where might players of airsoft by most likely to use revolvers or pistol sidearms? 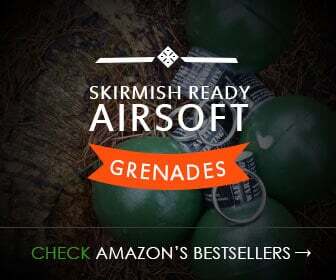 To the player that decides to make a sidearm such as a pistol or revolver their primary airsoft weapon then the best way to use these would be when you were in close quarter battles that were high energy. When a player is in these sorts of situations a sidearm is a good option to have. 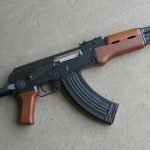 How much power do sidearms in airsoft have in terms of round capability and FPS? Most of the airsoft revolvers you can find out there are going to have a shooting capacity of about 6 to 8 rounds. Sometimes it’s just 5 or 6. If you have an automatic pistol than the shooting capacity goes up to 15-30 rounds. As you can see it’s pretty tough for a revolver to have the same capacity as a pistol or shotgun, but this doesn’t mean they should be looked at as an inferior option. 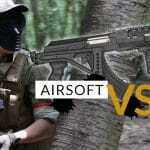 The FPS of an airsoft sidearm or an airsoft shotgun is going to be dependent on two factors. First the caliber of the gun will play a role. Next you’ll have to look at the grain or weight of the pellets being used. The heavier the weight then the lower the FPS will be. Not only this, but you’ll find that the overall power you get with each shot is going to be better as well as the accuracy.